West Jakarta Administration is scheduled to hold Car Free Day in Grogol Petamburan Sub-district.
" 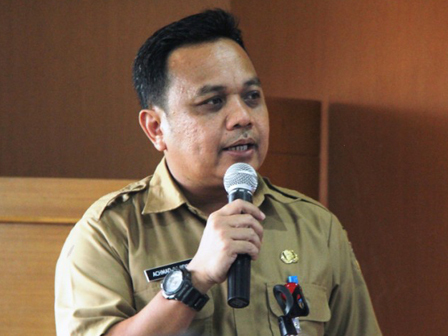 It's held to reduce air pollution, as well as sports facilities and silaturahmi (friendly meeting) event"
Grogol Petamburan Sub-district Head, Ahmad Sajidin said, it will be filled with various events such as fun bike, culinary stand and entertainment stage. "It's held to reduce air pollution, as well as sports facilities and silaturahmi (friendly meeting) event," he stated, Thursday (9/14). As planned, West Jakarta Vice Mayor, M Zen will release fun bike participants from Grogol Petamburan Sub-district office, Jalan Tanjung Duren Barat IV, heading to Tanjung Duren Raya, Jalan Arjuna Utara, Jalan S Parman and then will be directed to Jalan Taman Daan Mogot Raya, Tanjung Duren Utara IV and return to Jalan Tanjung Duren Barat IV. "It will be started from 6-12 AM," he closed.